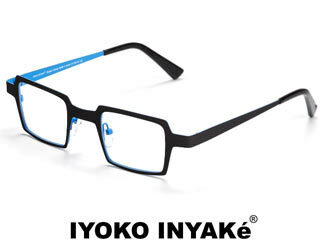 Many years ago, Eye Specials Worldwide acquired the worldwide license to design, Manufacture and distribute eyewear under the name of Iyoko Inyaké. Iyoko Inyake eyewear has become known for its inventive and trend setting designs in which various colors and materials are carefully mixed to form exceptional frames. This unique collection is not only comfortable to wear but perfectly complements the wardrobes of stylish men and women. Iyoko Inyake is handmade in Japan, using materials such as titanium and hand layered acetates.